Wishing for a cozy chair you can count on to relax comfortably? 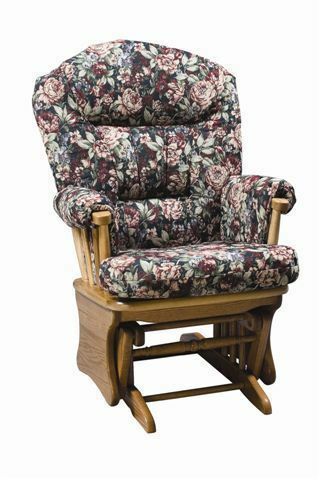 The Amish Arch Back Glider Chair is the answer. Rounded back padded with your choice of custom upholstery. Arms are padded for plush support. The glide mechanism is smooth and effortless. Add your new Arch Back Glider Chair to living room, family room, den or nursery. Trust DutchCrafters for solid wood furniture that will last. We offer a wide variety of gliders to choose from in many different styles from country to contemporary. I love my new ash glider. Happy New Year! God bless.